SLIDELL, La. 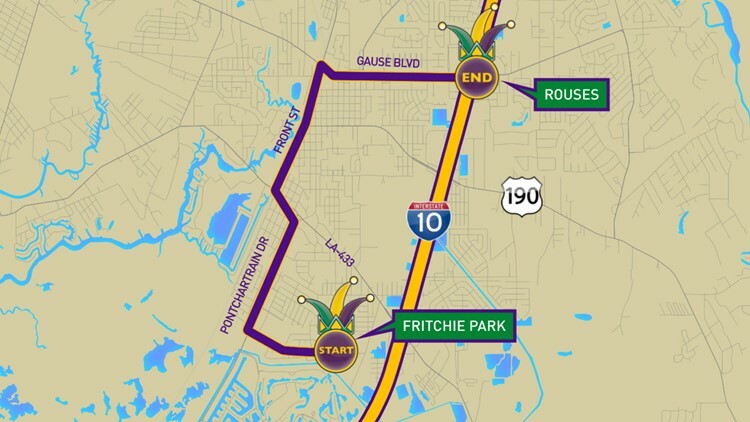 — Below is the parade route for the Krewe of Poseidon in Slidell. The krewe traverses the streets of Slidell, starting at 6 p.m.